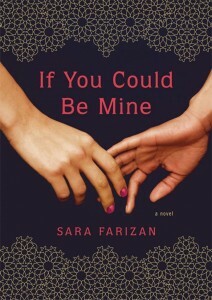 This entry was posted in Lesbrary Reviews and tagged jill guccini, lesbian teen books, lesbian YA, Sara Farizan, teen, YA, young adult by danikaellis. Bookmark the permalink. That’s too bad this book wasn’t as good as you hoped but I am still very intrigued! Definitely sounds like it deals with topics we don’t see too often.